That’s a damn shame, because the RC F is a wonderful driver’s car. Says Kiino: “A really pleasurable car to drive, and not just at breakneck speeds. 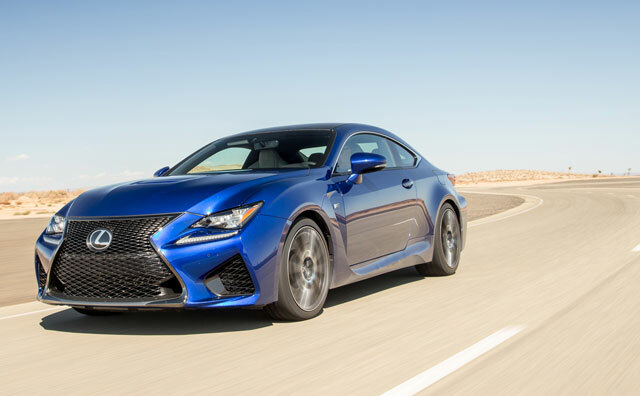 Ride is surprisingly compliant, and the cabin is quiet on the highway.” Should you decide to push deeper with your right foot, the RC F delivers. The RC F was joined by seven other cars in the finalist category: the Honda Fit, Audi A3, Hyundai Genesis, Maserati Ghibli, Mercedes C-Class, Kia Sedona, BMW 2-series, and ford Mustang all lost out to the eventual winner — the Volkswagen Golf. Tinhinnh: You can't trust a reviewer whose name starts with "L-i-e"